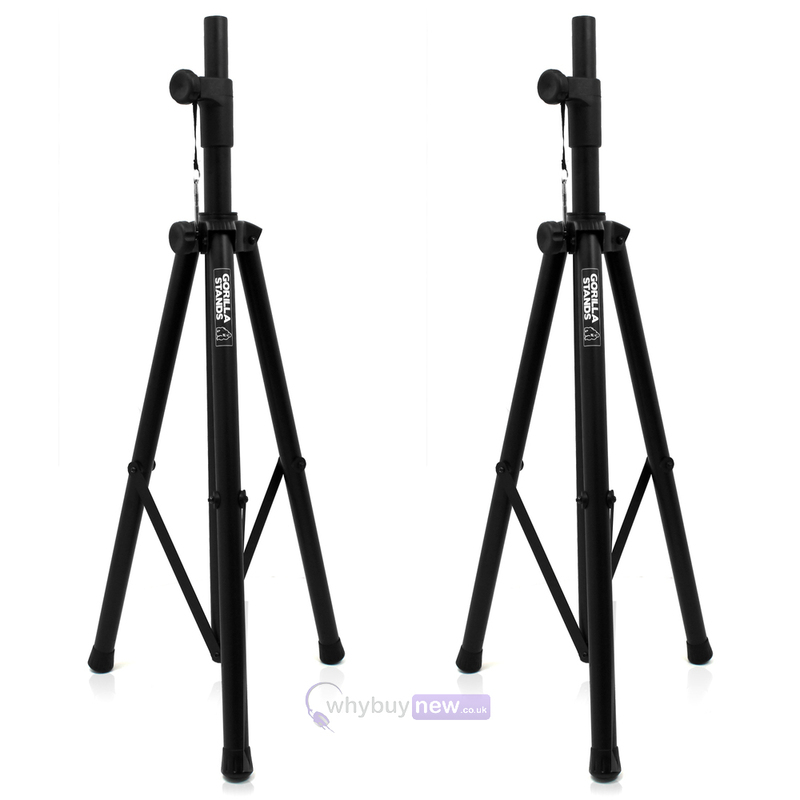 Gorilla Stands GSS-300 are high-quality, premium professional speaker stands suitable for a wide range of mobile PA applications. These stands are constructed from steel with steel joints for strength and rigidity. 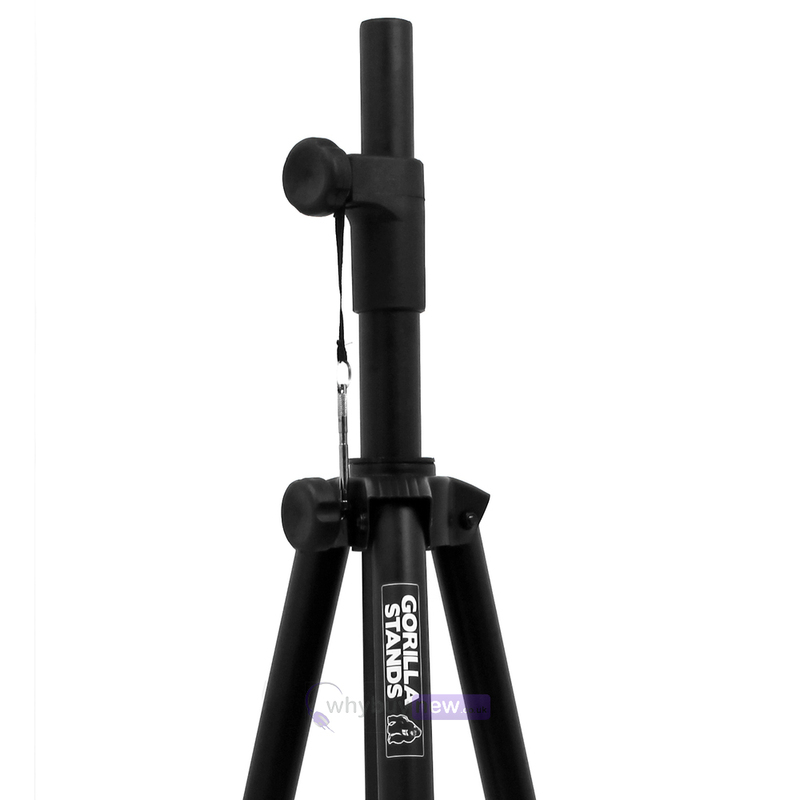 GSS-300 stands are fully height adjustable from 120-180cm meaning you can optimise your sound for the venue you are playing in. Thanks to its' high-quality construction the GSS-300 stand has a maximum load of 60kg making it suitable for the majority of popular passive AND active PA speakers. 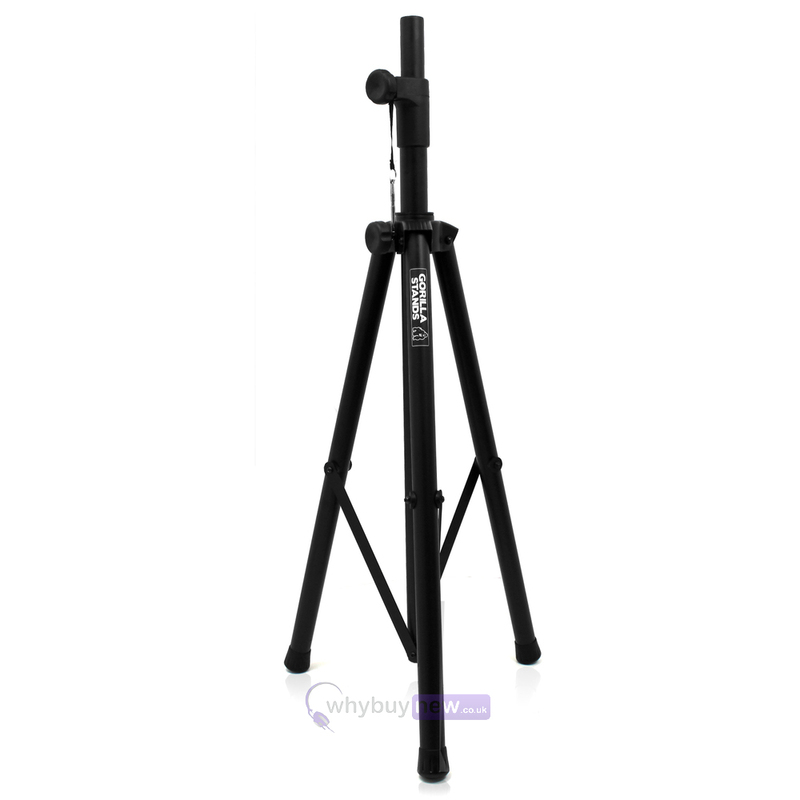 GSS-300 is the perfect choice for mobile discos, gigging bands and other live performers who want a speaker stand that is portable, reliable and quick-and-easy to construct. 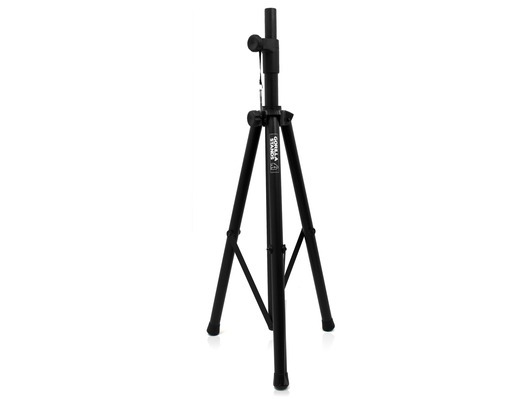 A hard-wearing powder-coating finish helps to protect the stands from everyday scuffs, marks and scratches and keeps these professional stands looking professional for longer. GSS-300 has no loose parts as all the fixtures are integrated into the stand which not only reduces setup time but also reduces the chances of lost or forgotten parts. 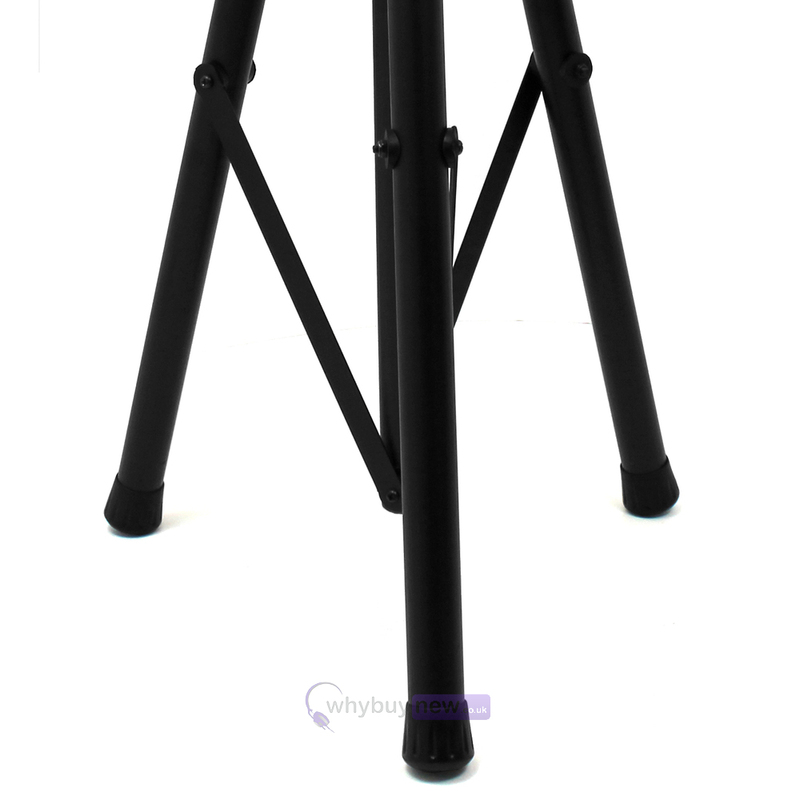 Buy Gorilla Stands from an official UK dealer at whybuynew.co.uk.